I can't really believe that we're sitting here writing this from our actual real life restaurant and I keep having to pinch myself that it's real, but we did it! We have officially been open for a whole week and we couldn't be more excited! After an amazing launch night on Saturday 24th February and a fully booked Socius Sunday on 25th February, we had a rather testing start to our first full week on Wednesday with some awful weather conditions and a lot of reservation cancellations. The snow didn't stop us however (despite it's efforts meaning we had to get pulled out by a tractor not once, but TWICE on our journey to work on Thursday!) and given the weather conditions outside, our first week was a huge success. We've been overwhelmed by the support of local residents, businesses and visitors keeping our spirits high and coming in to see us throughout the week. We've received some fantastic reviews and feedback on a number of platforms and we couldn't be prouder of what we've achieved. The weekend was buzzing and we had a full house both Saturday & Sunday once the snow slowly started melting! We are thrilled that everyone that has visited us so far has commented on the relaxed, casual and cosy atmosphere of the restaurant - something which we set out to achieve from the outset. We'd like to say a huge thank you to so everyone who has helped us get to this point and allowed us to achieve our dream. From our amazing local suppliers, to our lovely Landlords and the supportive local businesses and residents to our family and friends - THANK YOU - we couldn't have got here without you! 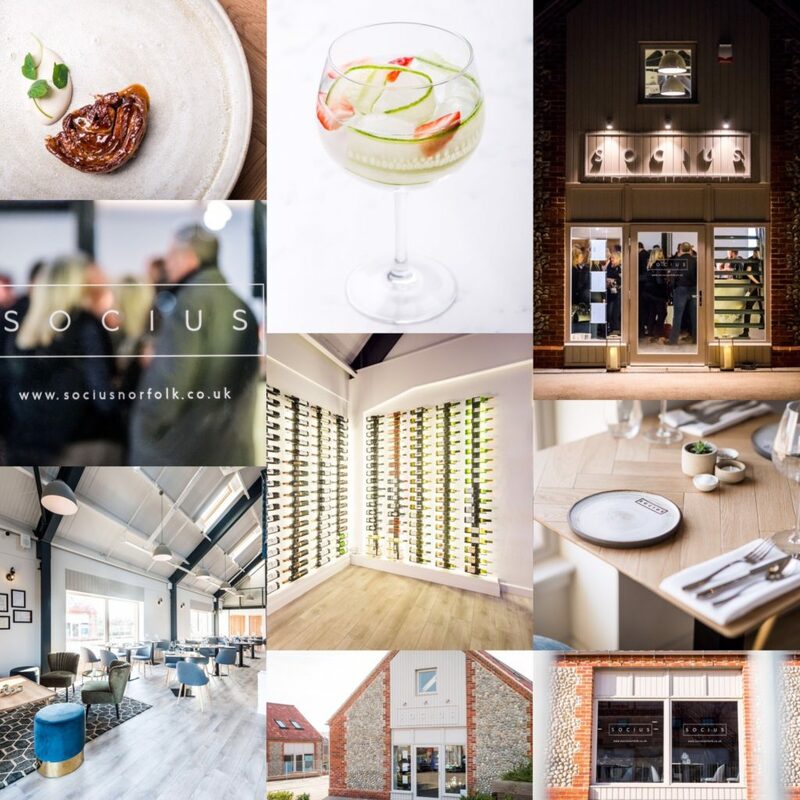 If you haven't managed to pop in and see us yet, please do, we'd love to show you what we've done with the place and introduce you to Socius. We can't wait to see you! Had one of the best meals I’ve ever eaten on the first Saturday they were open (despite the snow) and look forward to the next one.